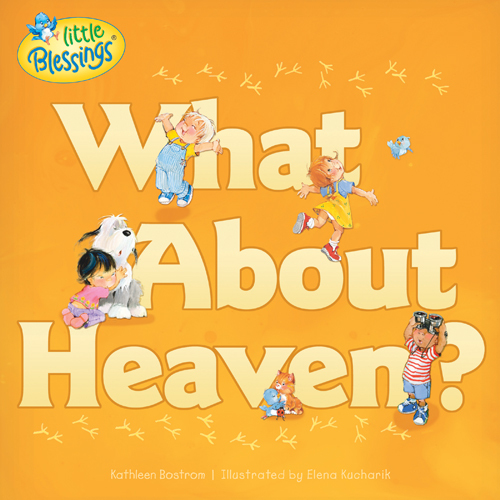 What about Heaven is a sweet little book written by Kathleen Bostram and illustrated by Elana Kucharik, illustrator of Care Bears. The author gives a simple directive to how we get to heaven and what we will be doing when we arrive there. This is a cute first book to begin leading your children to the only way to heaven, Jesus Christ. As soon as I got this book out of the package from the publisher, my five year old ran off with it. She had read it several times by the time I found her and had her read it to me. She thought the drawings were adorable and liked the rhyming text. I agreed with her. It is a great addition to any pre-school library.